Okay, so I know a house that is built in 1971 isn't that old. 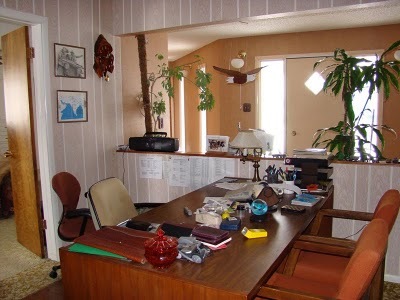 It is old enough, however, to have possible asbestos, lead paint, and electrical and plumbing that isn't up to code. Its old enough that some things have reached the end of their lifespan, like the roof. And heating system. And pipes. And carpet. Oh, the carpet in this house. 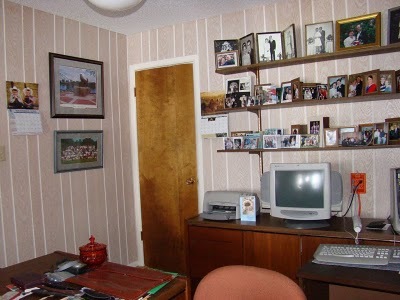 Much of the decor is original and was picked out by my very savvy Californian Grandmother. While I appreciate and admire her style, and I love how the house represents so much about her and my Grandpa, the house needs some updating to fit the tastes and lifestyle of a family in the twenty-tens. I hope we can do right by them and bring this house back to the glory it was when they built it while still incorporating our own personality. 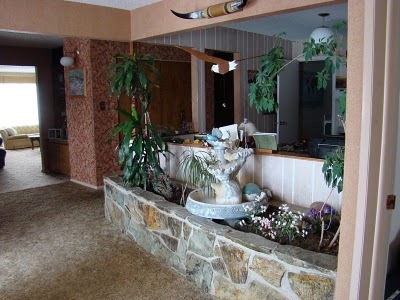 ^ There is a big planter right when you walk in the door. We will probably take this out to expand the master bathroom area. (More on this later). 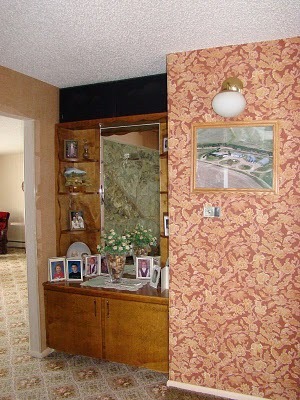 ^ One of the many built-ins in the house. 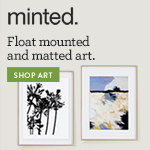 The scallop trim is a common theme. ^ Looking down the hallway past the den. There is lots of wallpaper in this house. It all has to be removed. Even if I wanted to keep it, removing the heat radiators revealed lots of holes in the wallpaper behind them. 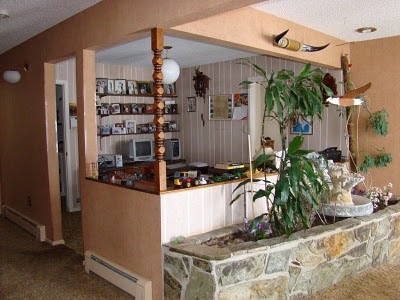 ^ The den, looking back toward the entry. The door to the left leads to the master bedroom. 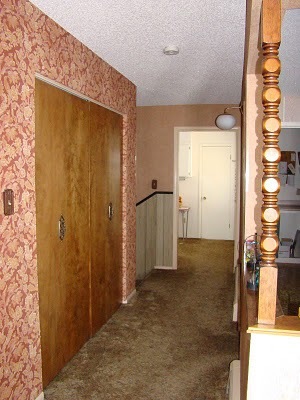 I think every house built in the 70's has paneling everywhere. ^ The den looking the opposite way. This door leads to a little dark room. My Grandma did a lot of photography and some of her own developing. Up next: the Master Bedroom and Bathroom!